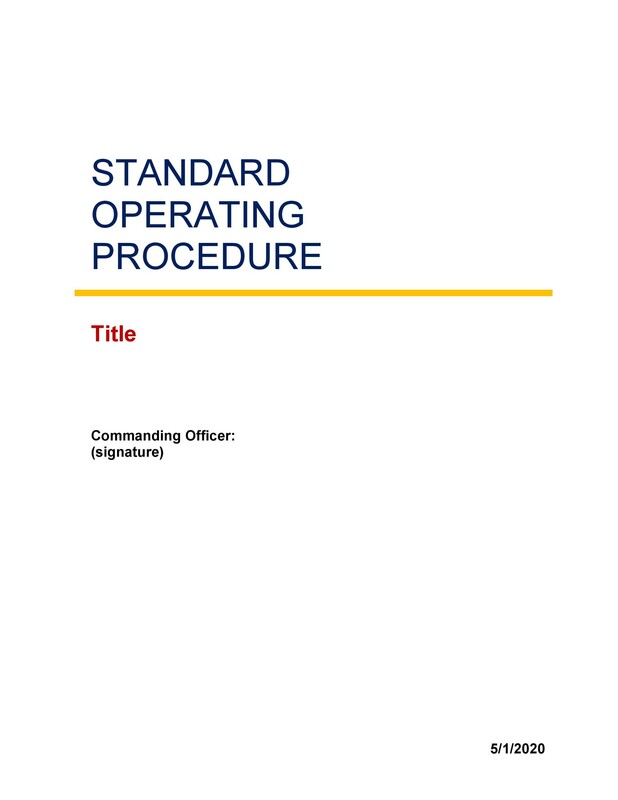 For organizations or institutions which desire that certain activities are done by following a strict set of steps, the standard operating procedures, SOPs could come in handy for them. 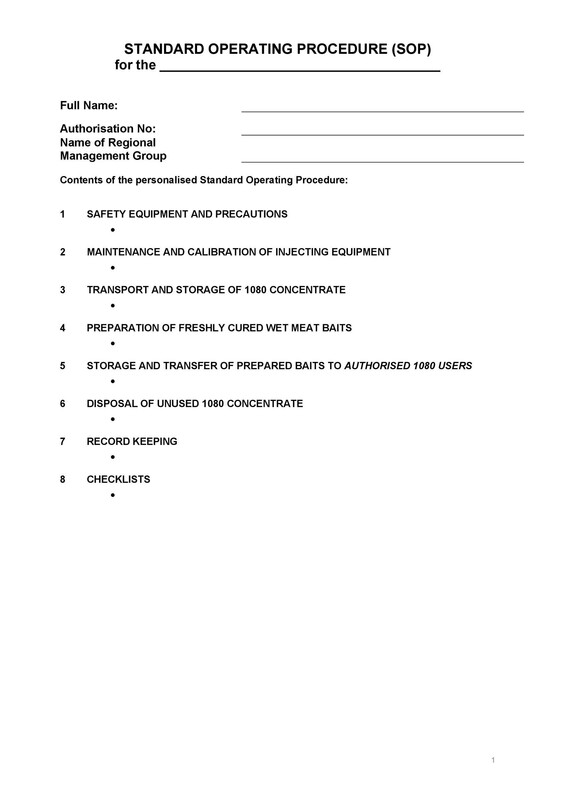 The SOPs will help to ensure that consistency and maintenance of certain desired standards in the production of a given product or the provision of certain services are attained and maintained. 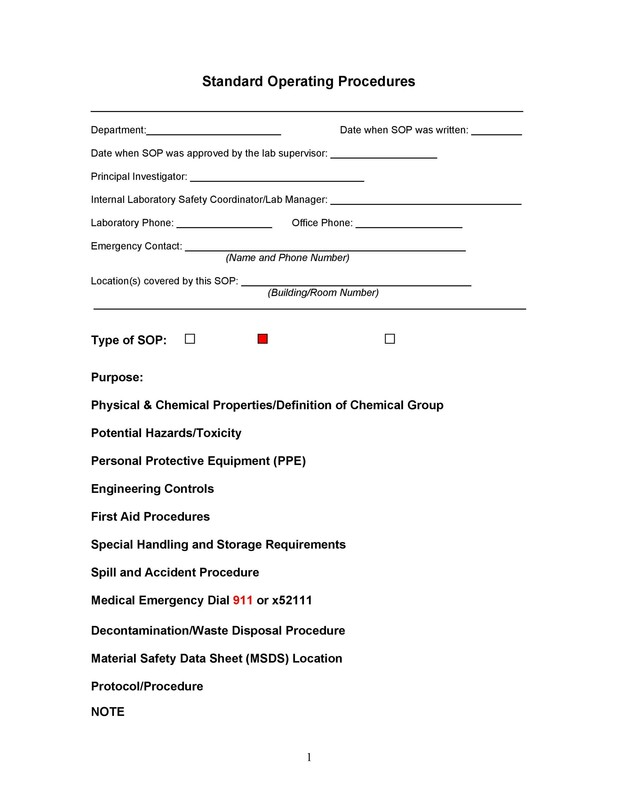 SOP refer to instructions normally written ones that are intended to document how to perform a certain activity. 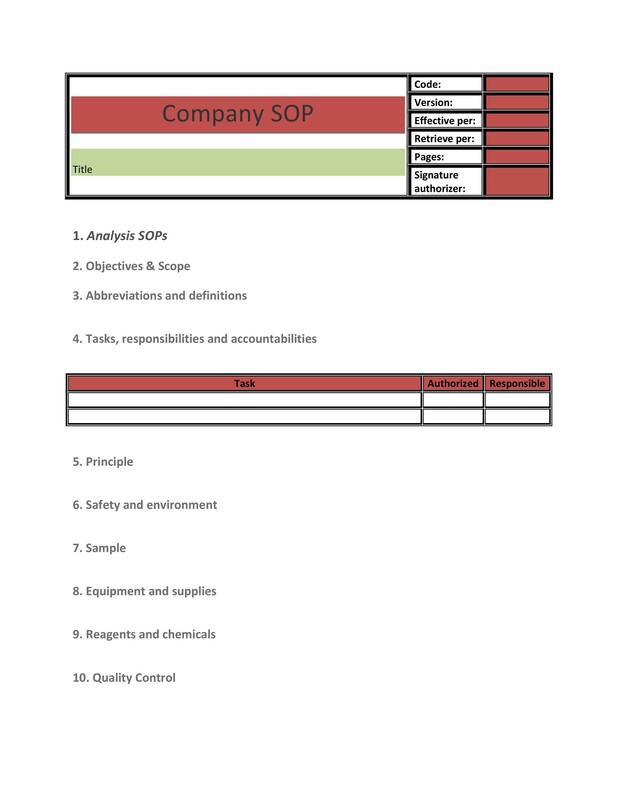 The key reasons why many companies or organization rely on sop is to help them in guaranteeing that consistency and a certain quality of some products or services is maintained. They can also serve as very vital tools when one wants to operationalize and communicate key corporate policies, regulations of the government as well as any best practices. 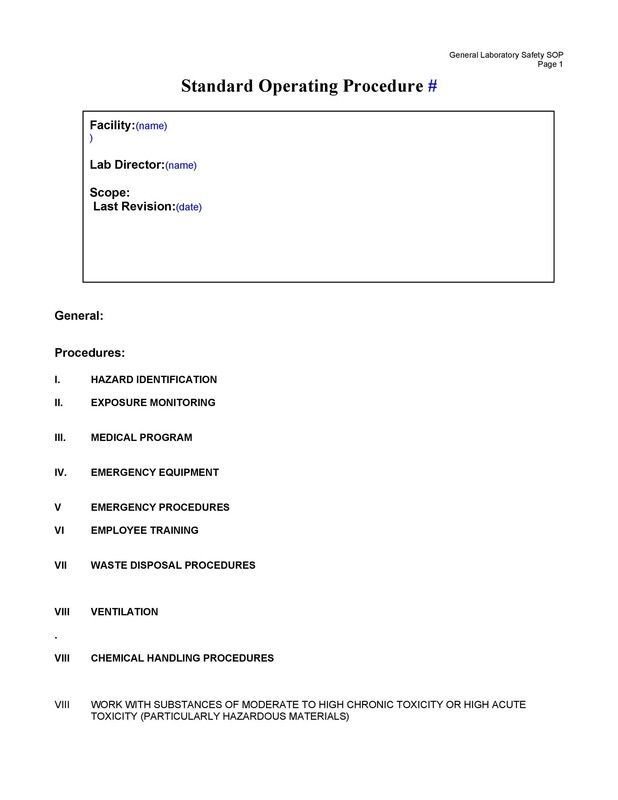 They will also serve as a good reference to employees who are required to follow a given set of procedures. It has been shown that even the best of employees tend to forget, this implies that having sops will be quite vital in helping all the employees to stick to the right or recommended procedure. Sops are also helping to newly trained employees. They will be key in helping them keep the fresh the instructions and they will also act as an easily available reference source. Considering these benefits that can be attained with the use of sops it is good to avail them at the actual location of the employees. This will increase their accessibility and it also act as a sign that your organization or company is committed in ensuring only the right steps or procedure are followed in doing a given activity. 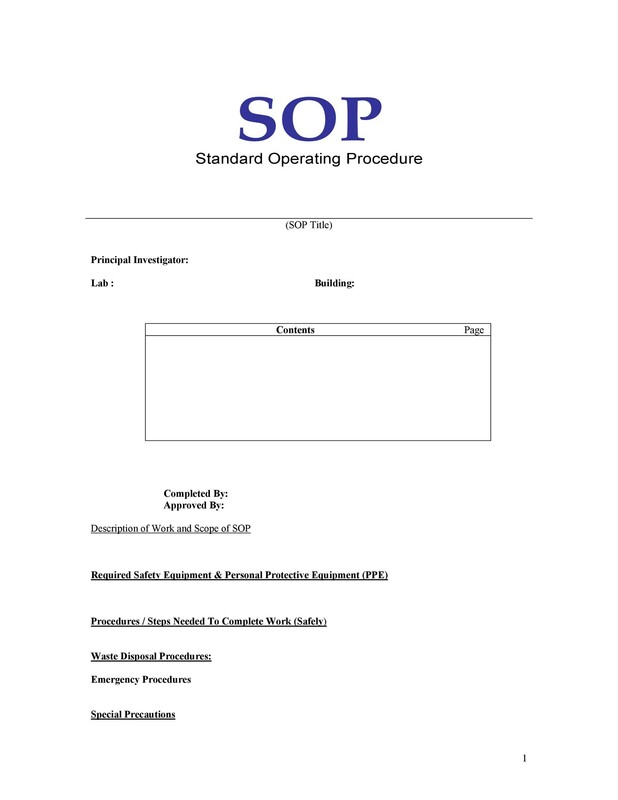 This site acknowledges the importance of sops, and we have standard operating procedure templates. 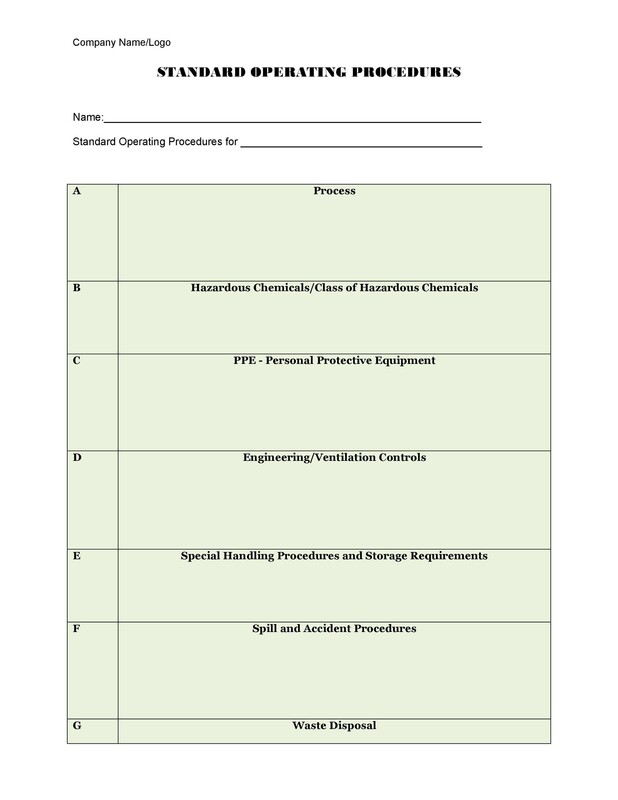 These can be used to enable you to easily and more conveniently come up with SOPs for your organization or institution. This is especially so for a task or even a process that you wish to be done in the same manner each and every time. 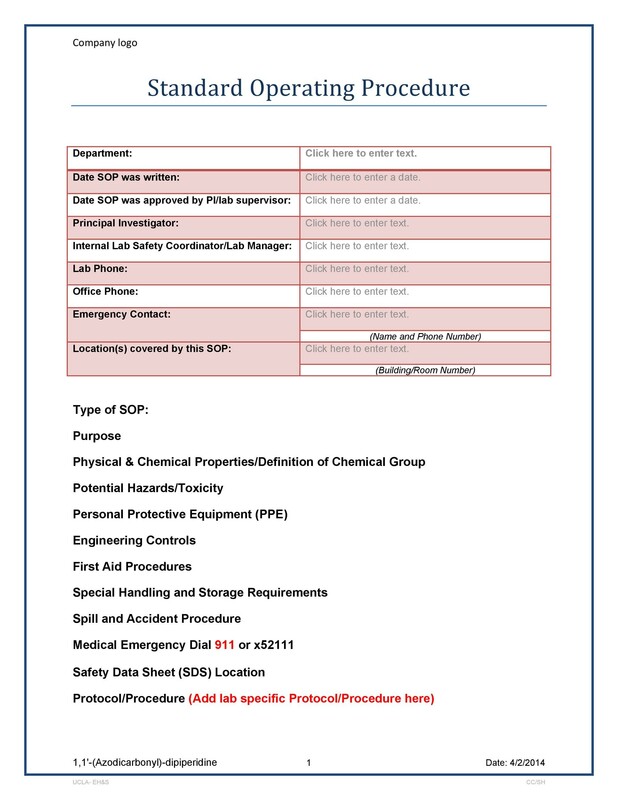 The sops were quite popular in the manufacturing sector but in the current day and age they are used in many sectors. This shows their significance in the quality assurance systems. An employee can easily tell how much of a given ingredient they need to add and this can help them to be quite accurate in coming up with a given product. 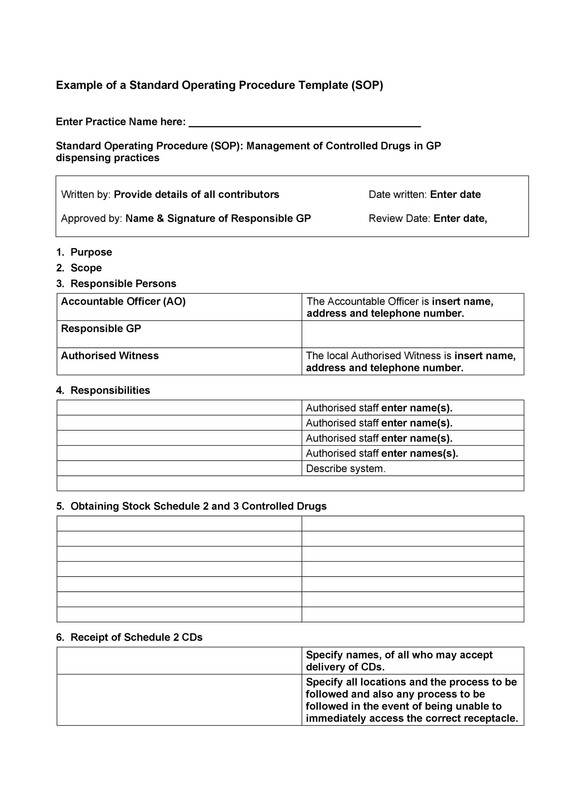 This is just one of the scenarios in which sops can be useful and you can extend its use to a wide range of things. 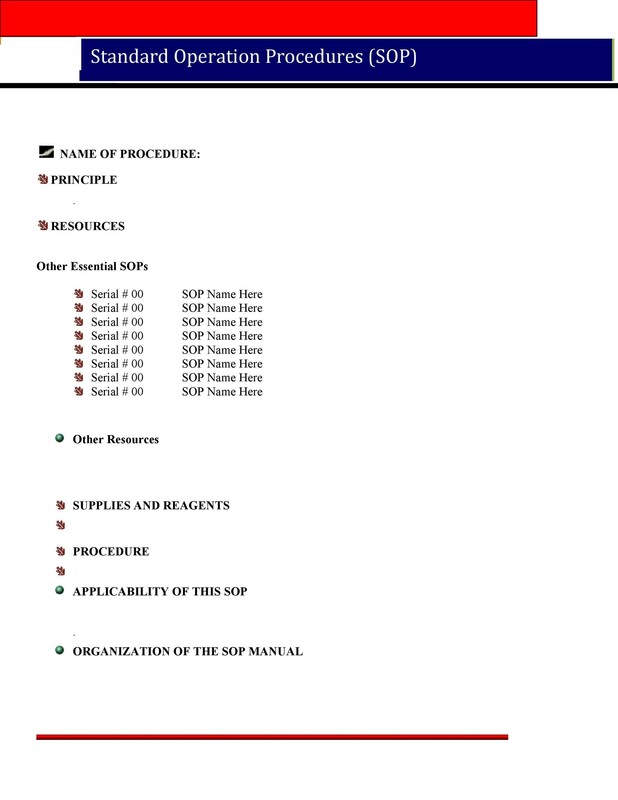 By choosing to create a SOP template, you will be able to standardize your procedures, be able to get started quickly and you will also be in a position of providing fast and easy to comprehend answers to some common SOP questions or queries. 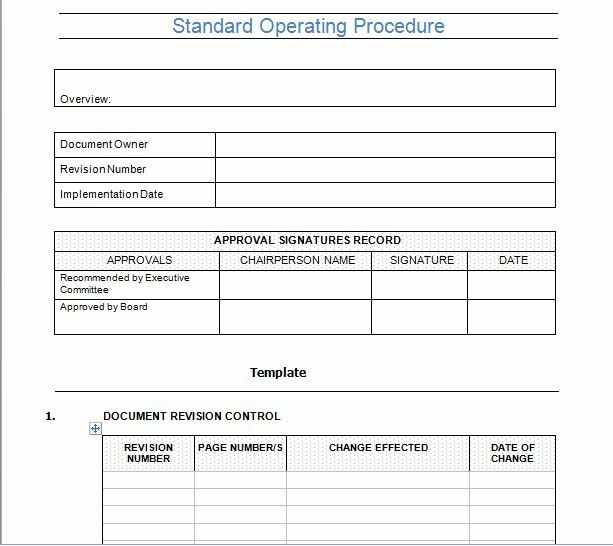 By having a Standard Operating Procedure template you will be able to communicate to everybody the format that you want them to use. 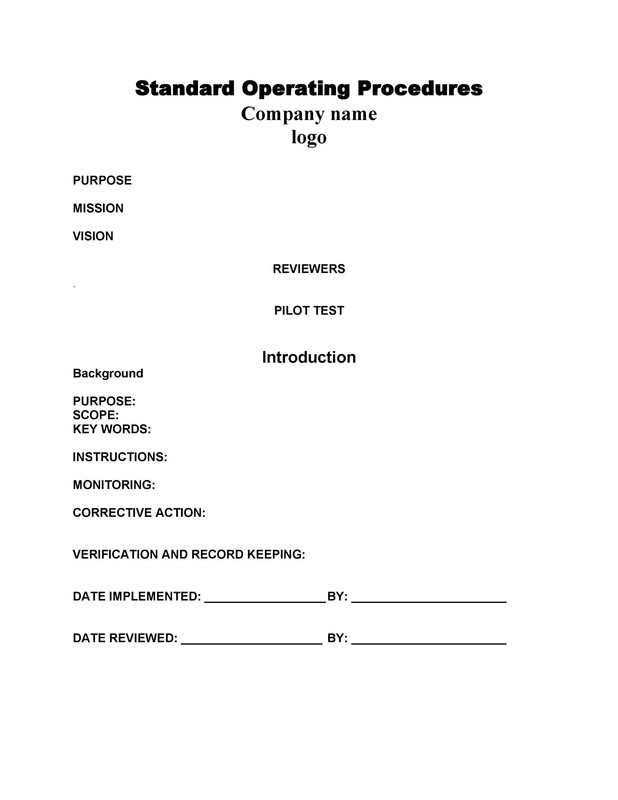 This will also serve as a handy starting point and everyone in your organization will not have to worry about which margins, fonts, outlining or answers to common questions to apply when faced with a challenge in standard procedure or activity. 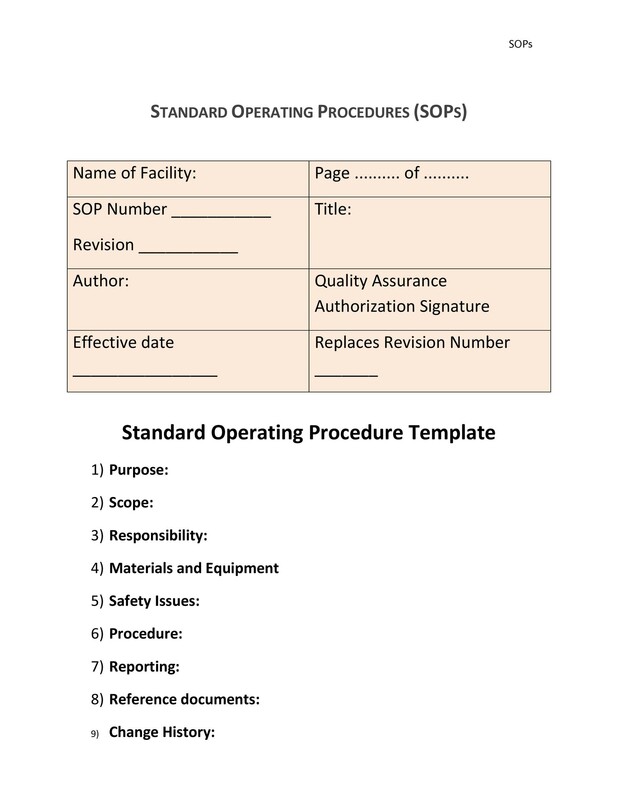 It is good to know how to create SOPs from SOP templates since many industries make use of them; the manufacturing industry, healthcare system, information technology, accounting as well as the human resource industry just to name a few of these. 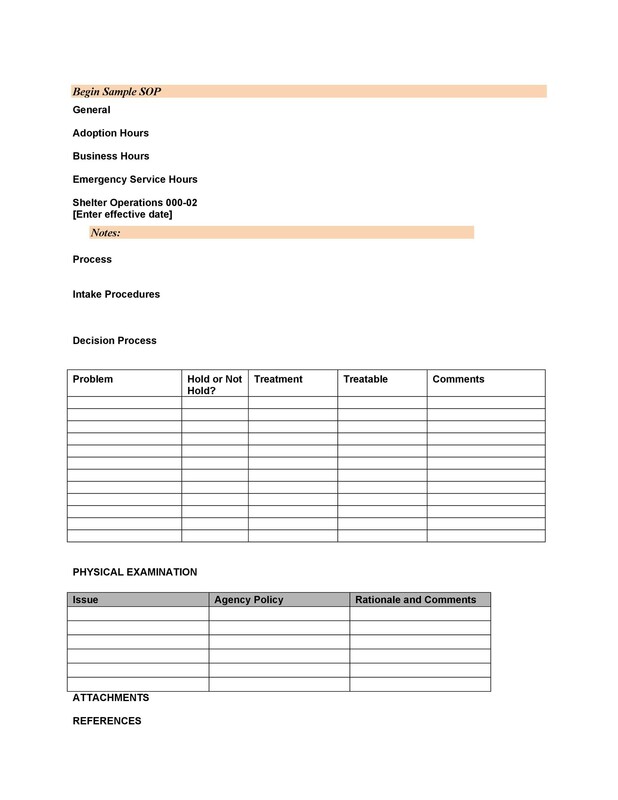 In these industries the procedure templates are used to ensure that business processes have been well thought out and that every task is performed in a similar manner with key data being recorded and corrections to deviations being undertaken in a timely manner. 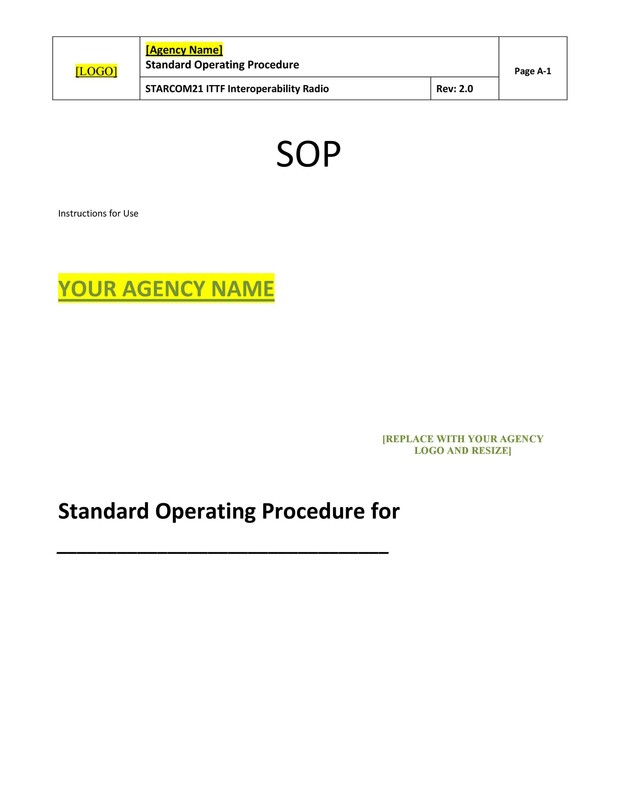 By accepting to use SOPs employees show that they are ready to learn and perfect their skills. 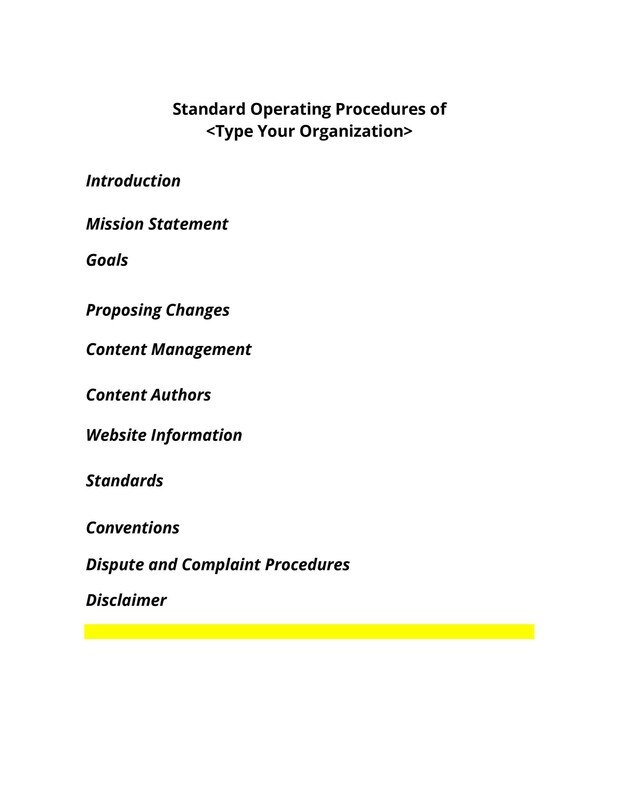 It is necessary for one to first of all create their SOP template in MS Word. Though most people like using this software you could alternatively make use of Open Office as well as other Word processors. After doing this you need to give the file a common name. 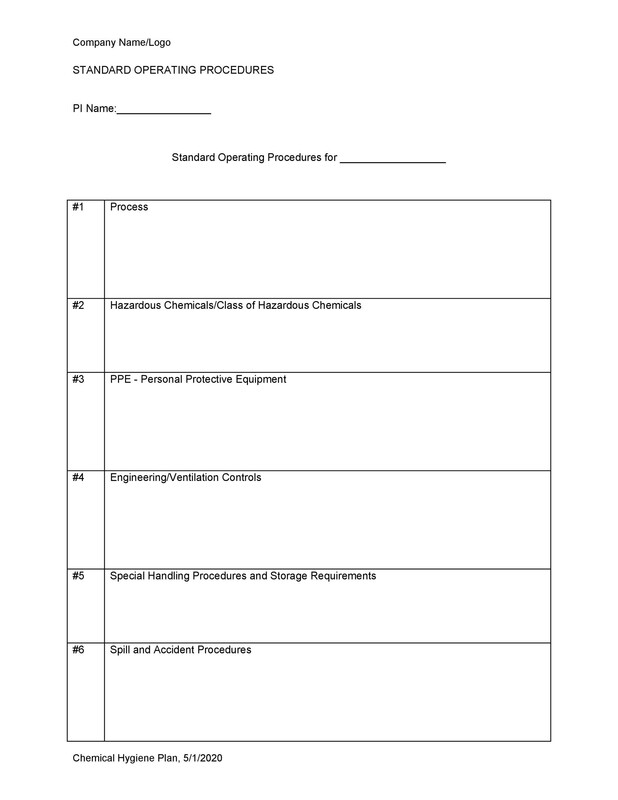 This site readily offers you with procedure templates that you could download and make use of. 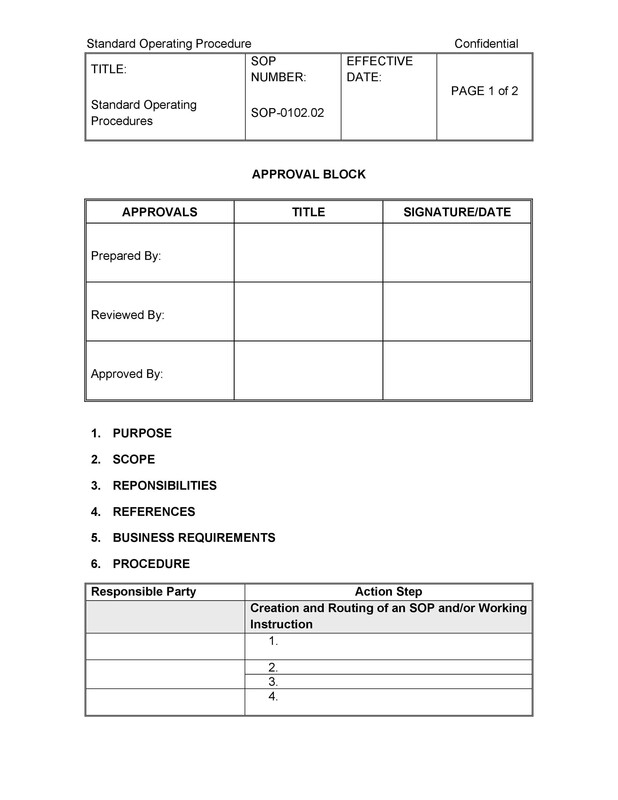 The next step is to start your sop format with an SOP Control Block, a header as well as a footer. The control block could just be a simple table such as 3 by 4 table. 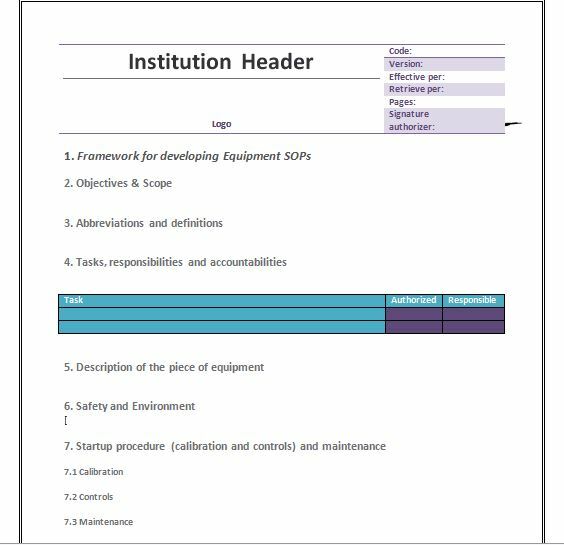 This will be used to house the document control information required for one to configure management and compliance standards. 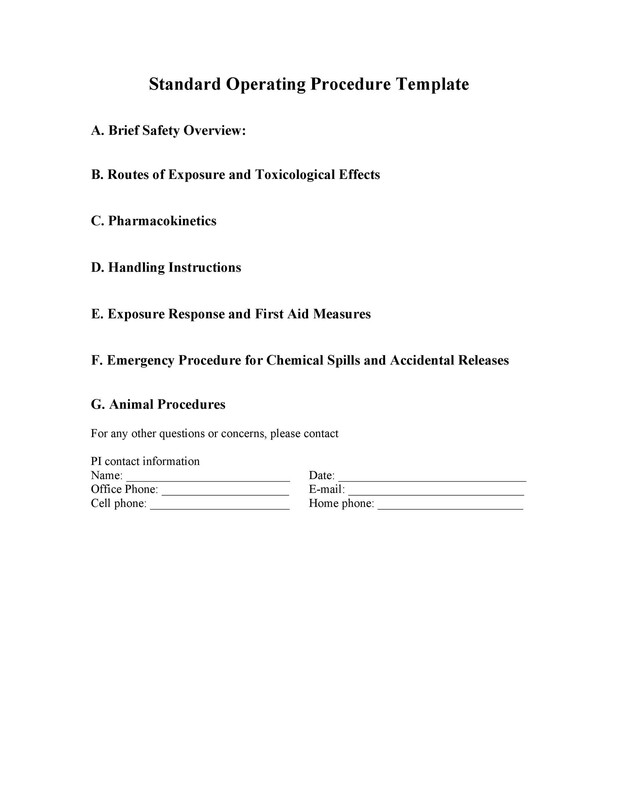 The Procedure header and footer. The header which is usually at the top will be an appropriate location for putting your company’s name. 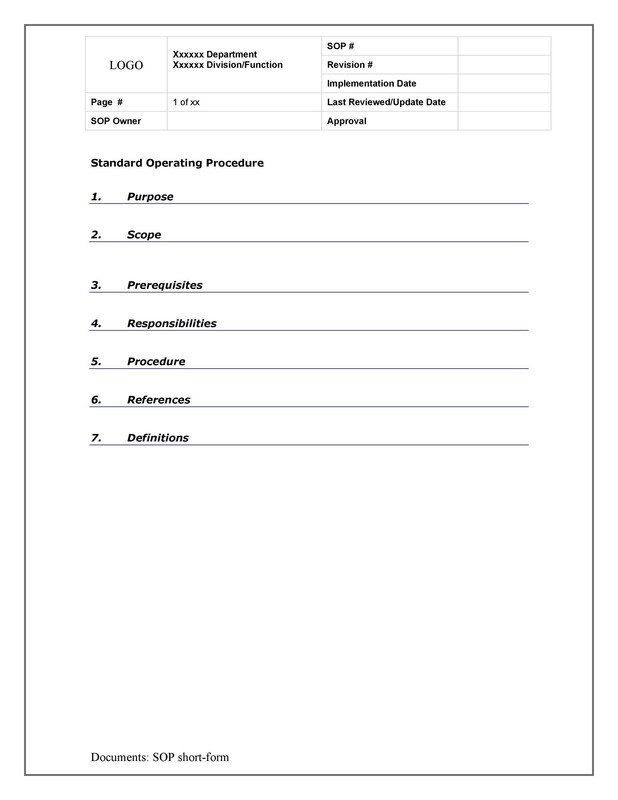 The footer located at the bottom margin will serve as good place for indicating the name of your procedure as well as your page number. 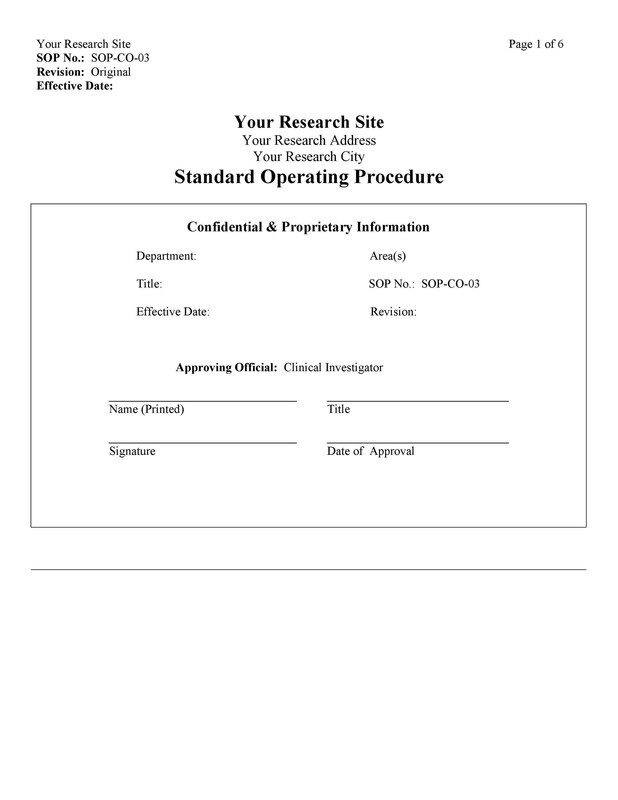 The policy which describes the mission or standard that your procedure should meet. 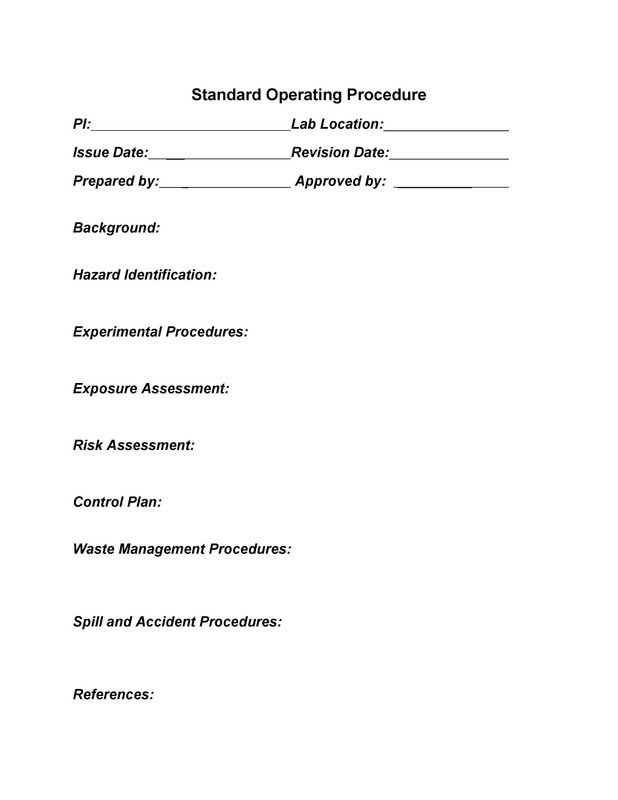 The scope that is what areas of your company or organization will be affected by the procedure being designed. The particular responsibilities, bear in mind the people who are listed in the procedure and what they are supposed to do. The definitions which basically consists of words which are to be used in the procedure that the readers may not comprehend. 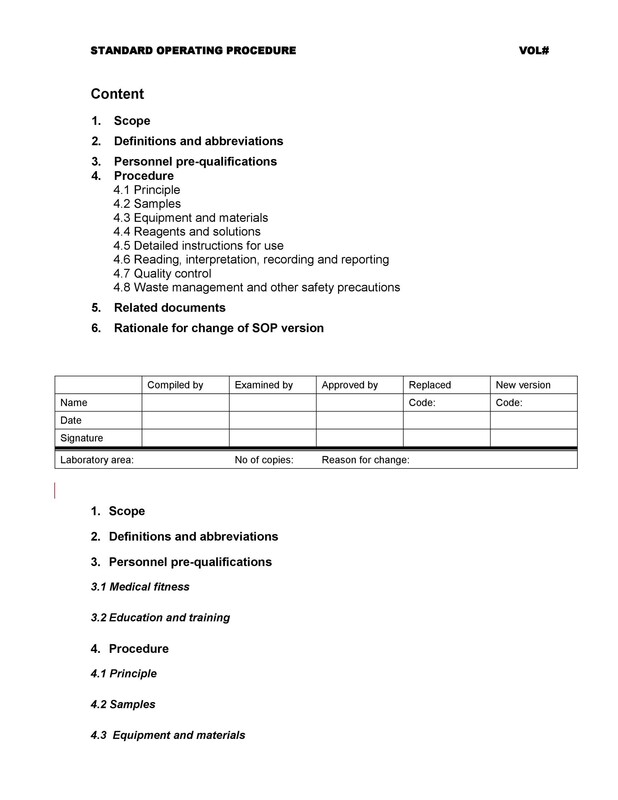 The procedure; which outlines what the activities are and the sequence of steps or tasks for the given procedure. 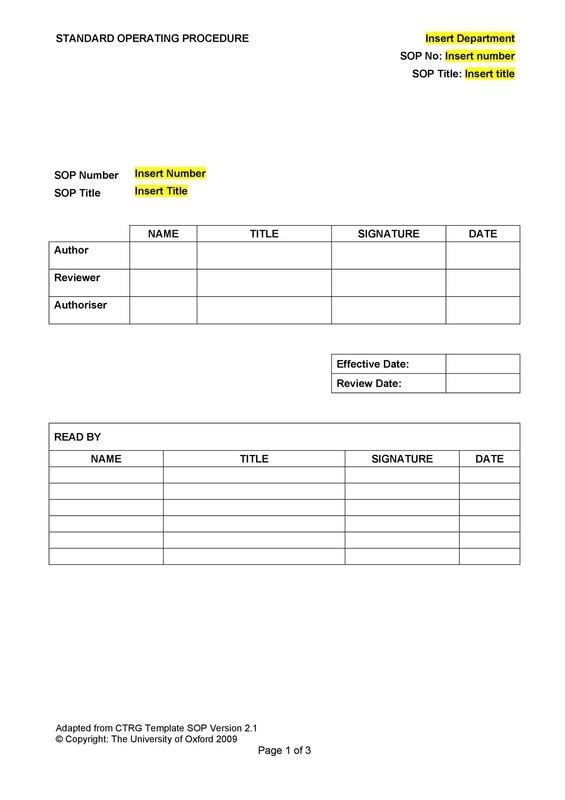 The final step in creating your sop template should involve you finalizing on the styles and fonts that you intend to use. Also remember to include any bolding or special treatment that you wish to apply to your text as well as working on the margins to ensure that you have what you envisioned. 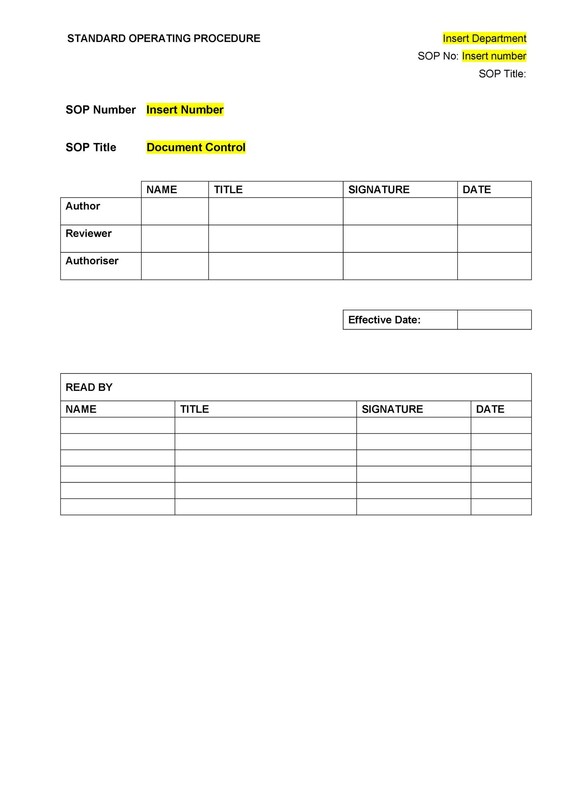 You can easily and more conveniently publish your sop template on your local server. 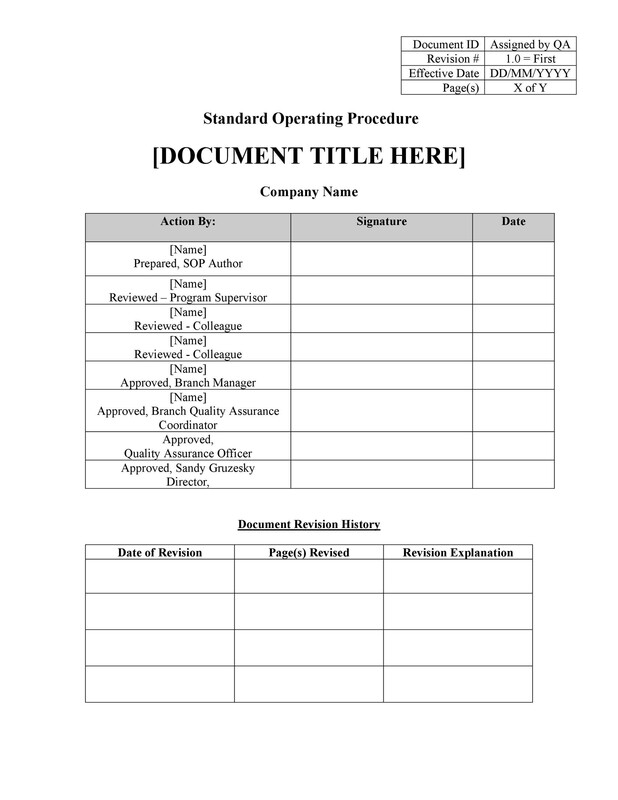 After you are done with publishing you can let everyone in your company or organization know that you have completed your procedure template. You should inform all the concerned parties that you expect everyone to use and stick to what is stipulated in the procedure. 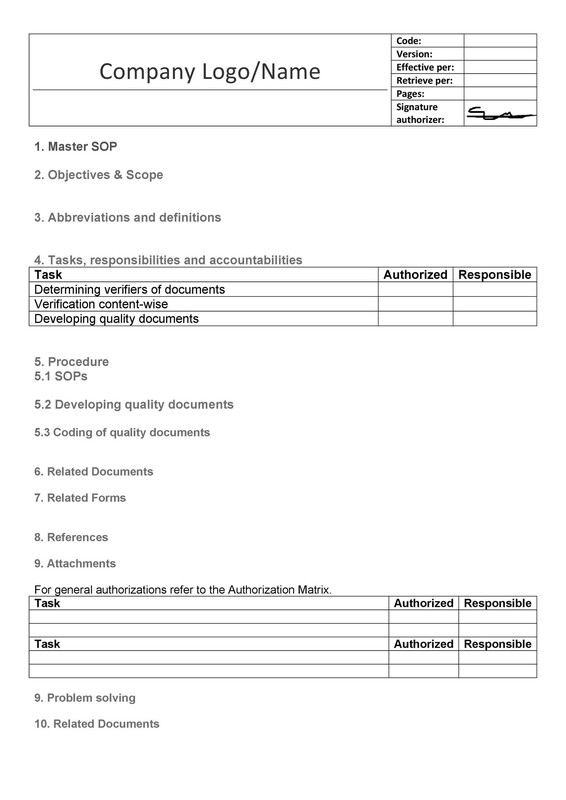 These standards will help to speed up activities and the execution of various tasks in many industries and this can be compared to how sop templates help in learning what to write. It is good to note that many businesses processes share the same characteristics. 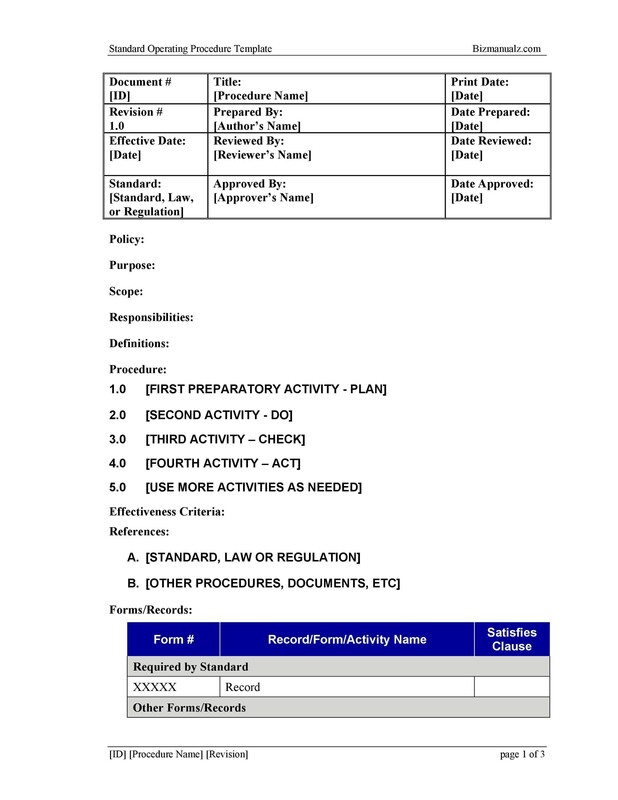 Though all the processes have their salient differences many of these can benefit from the use of a certain procedure template after slight alterations have been done to it. This site has some templates that you can make use. 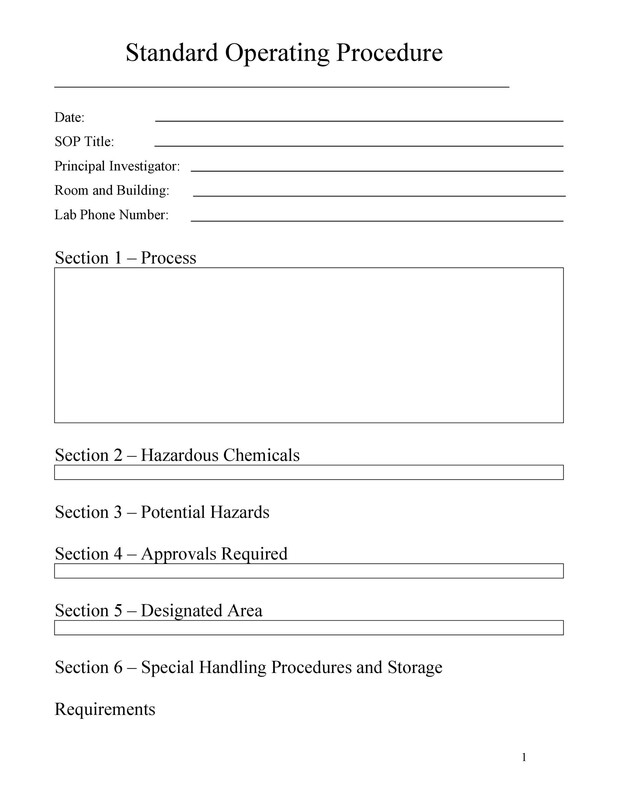 You can also check out our sop examples to get a rough idea of what one should look like. You can also verify whether they have elements that have been outline earlier on in this article. 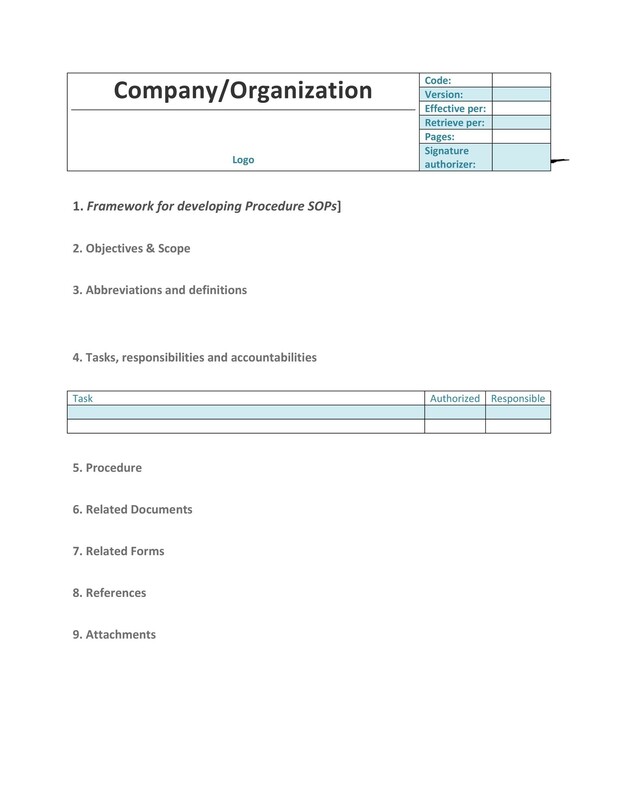 By having a sop templates like the ones available on this site you will provide your company with a standard starting point for undertaking a given activity. Every company should or rather is advised to adopt sops in carrying out their activities since the benefits to be accrued are innumerable. An organization or a company will end up saving time, they will also be provided with an opportunity to learn from experts and the company will be able to meet various standards in a timely manner. 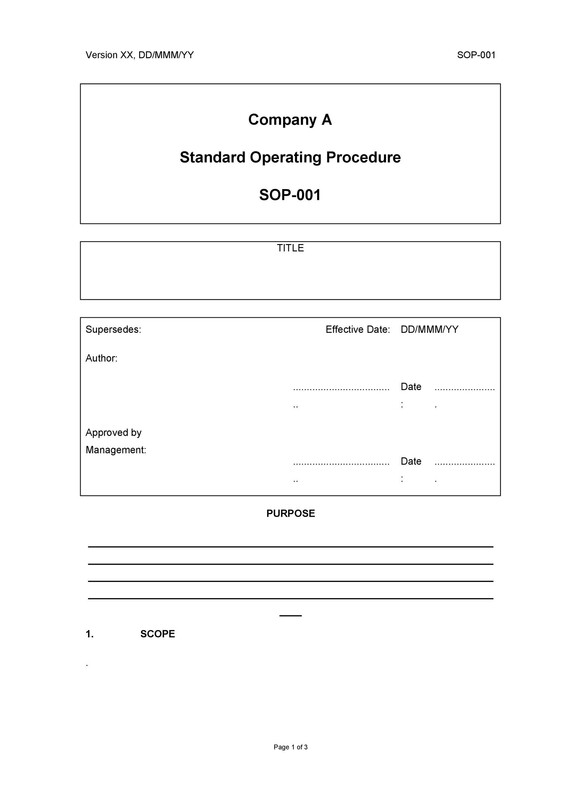 By choosing to use our sop templates, we will provide you with templates that have a desirable level of consistency. 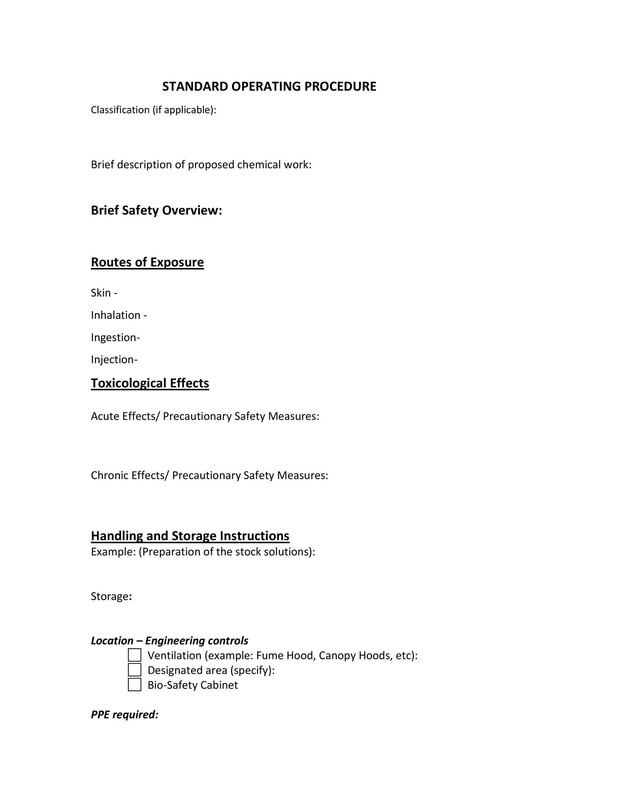 This is in terms of the writing style and this will apply to all sectors or industries or your given department requirements as far as this is concerned. 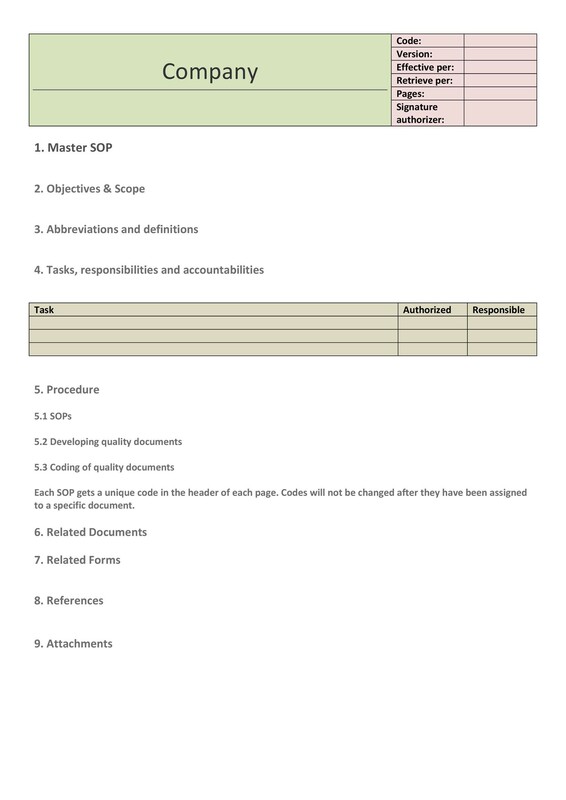 Our sop templates are easy to customize and you can use them to ease your work. 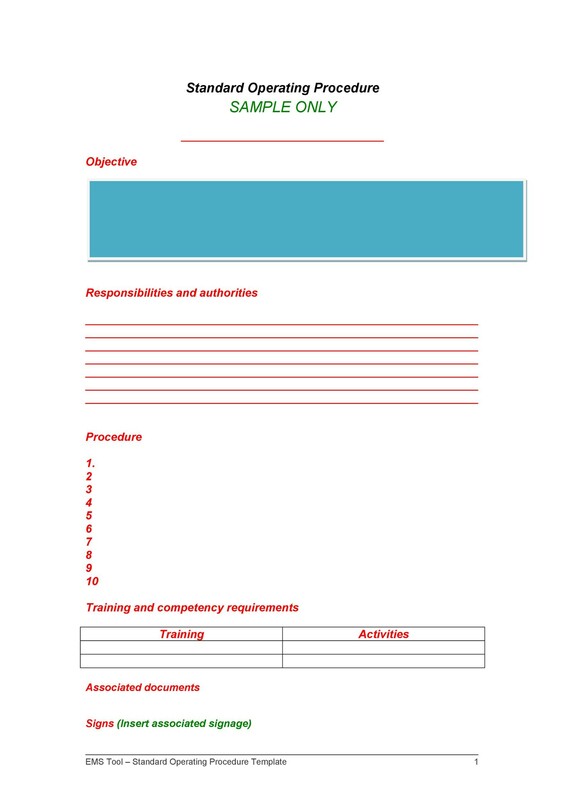 You can also access a wide range of templates that will satisfy all the departments in your company. 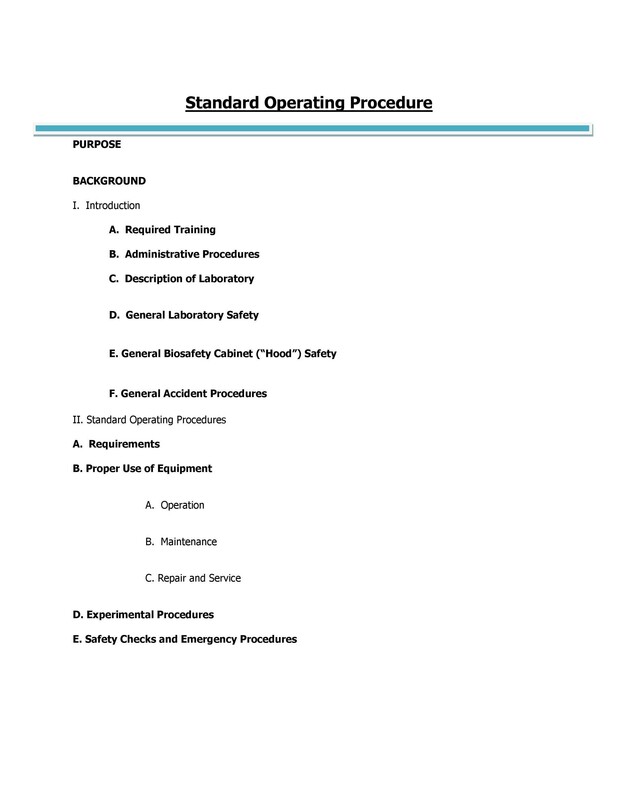 One has the option of coming up with their own standard operating procedures but if you are stuck up in coming up with one, we got your back, try out our procedure templates.